concealed by a cupboard door. If you're still not sure what you're looking for, take a look at our handy buying guide, or find out more about our easy installation service and top brands below. Use this tool to find the washing machines that's right for you. You can choose your preferred fit type, wash load capacity and find the perfect colour for your kitchen. Find out the top five things you need to know when choosing a new Washing Machine. Take the stress out of installing your new Washing Machine and let our experts connect it for you. Find out how you can add forgotten clothes to the wash, during the wash.
To help you look in the right direction, check out our customers' most loved models. all highly recommended for their selection of wash programmes and choice of drum sizes. Whether you’re looking to upgrade your kitchen, or your old machine is on the blink, we have a full range of freestanding and integrated / built-in washing machines to keep your laundry clean and fresh. Our washing machines vary by load size, so there’s one for everyone – couples may be happy with a 6kg load, but large families may need a 10kg+ model. Also, check out models with higher spin speeds, for a better final finish. Once you’ve bought your washing machine, we don’t want you paying over the odds on your electricity bills. That’s why most of our range are rated A+ up to A+++ for energy efficiency. A washer dryer combines a washing machine and tumble dryer, saving space in a small kitchen or utility room. So if you’re limited on space, shop our washer dryers here. The difference between a washer dryer and a washing machine is that a separate washing machine is usually more energy efficient and can mean you get a larger capacity to help you wash more at once. Check out our buying guide for any help finding that perfect model. Plus, when you’re ready to start shopping look to our best buys or deals page. 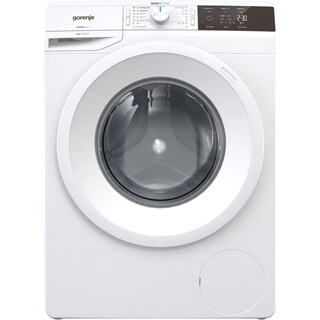 And, if you’d like to pair your washer with a tumble dryer shop our range here.